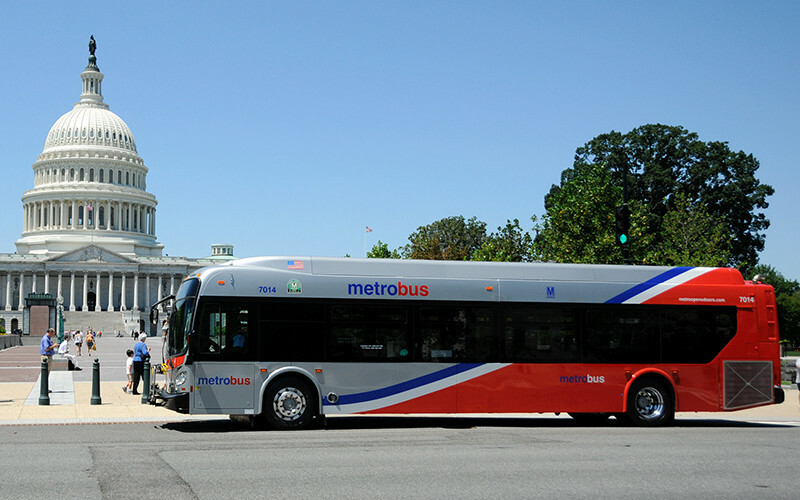 Metrorail and Metrobus are the safest, cleanest and most efficient ways to get around Washington. 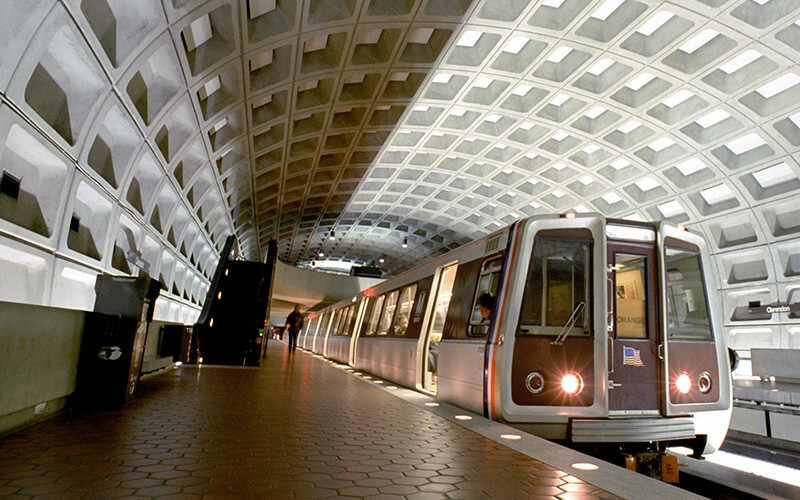 Five rail lines and extensive bus service connect Washington, DC with Maryland and Virginia suburbs. Train lines are named for colors: red, yellow, blue, green, and orange. Station entrances are marked by brown pylons, capped with the letter M and colored stripes indicate which lines are available in that station. Metrorail route maps are posted in each station and inside each subway car. Metro opens at 5 am, Mon. - Fri. and 7 am. on Sat. and Sun. Metro closes at midnight Sun. - Thur. and 3 am Fri. and Sat. Base subway fare is $1.95 and increases during rush hours and for longer trips. Rail farecards are inserted into the turnstile gates to enter and exit subway platforms. The fare is automatically deducted each time you exit a station. 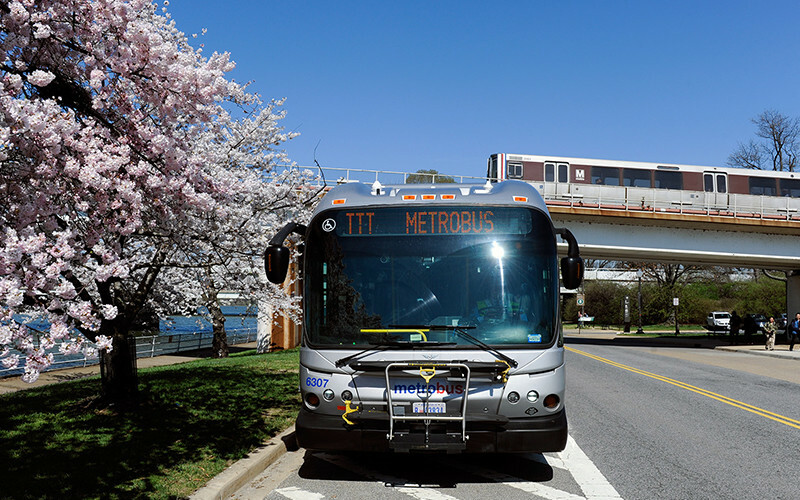 For an interactive trip planner for bus and rail, use The Trip Planner on the website at MetroOpensDoors.com or call customer information at (202) 637-7000. 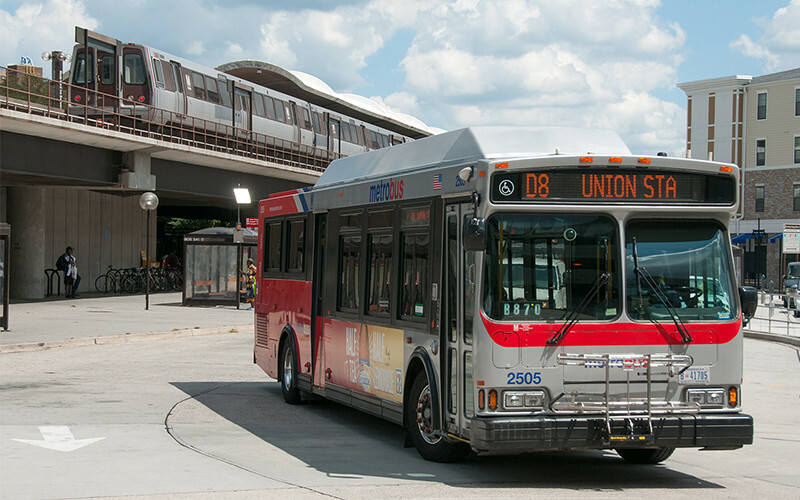 For advance farecard purchases, convention passes, group sales call (202) 962-5700, 202-962-5716 or 202-962-5722. 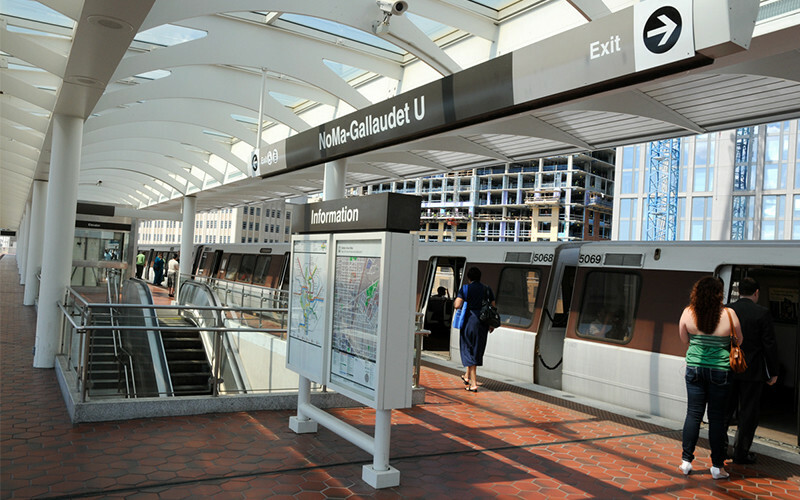 Farecards may be purchased from vending machines in all Metrorail stations.